Give the gift of Yoga and Mindfulness to an at-risk learner! eduSOIL makes it to the North Eastern Tribune! Everyone can benefit from yoga. 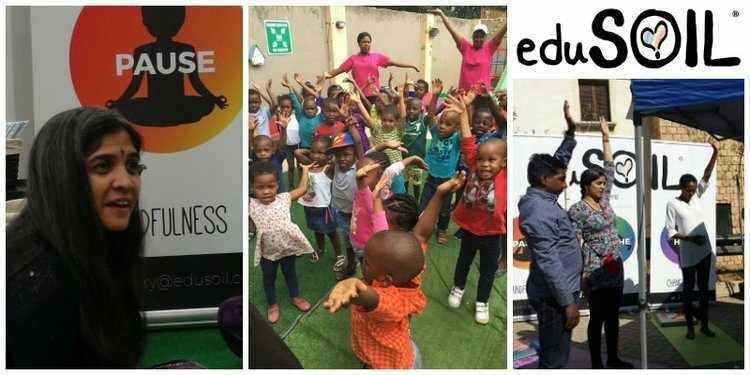 Thanks to non-governmental organisation, eduSOIL, children from Belly Delly Daycare Centre got an opportunity to benefit from yoga. eduSOIL founder, Juanita Rea was one of three women entrepreneurs selected to be on the panel at Facebook's International Women's Day event where she spoke about how the social media platform helped eduSOIL sprout. Juanita Rea, on the Lionesses of Africa Accelerator, powered by Standard Bank and Liberty.